Exploring the latest findings, new materials, and applications, this issue keeps readers current with some of the most important developments in strategic materials and the computational design of ceramics and composites. 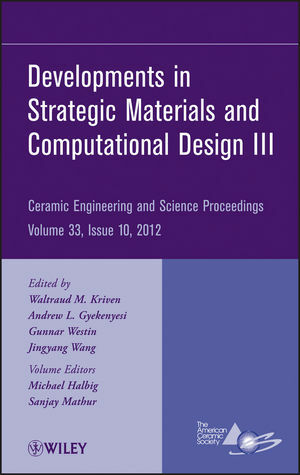 It features select contributions from one symposium and three focused sessions that took place in January 2012 during the 36th International Conference and Exposition on Advanced Ceramics and Composites (ICACC). This issue represents one of nine CESP issues published from the 36th ICACC meeting.